Australian electronic music musician/producer Flume (aka Harley Streten) is one of the club world’s most popular acts. For fans, nothing beats being immersed in his R&B-tinged soundscapes during one of his acclaimed live performances. Find Flume tour dates and buy tickets below! Use the Promo Code EDM at Checkout for an Additional Discount! Born Harley Edward Streten in Sydney, Australia, Flume is one of the world’s most popular and successful electronic music producers. Flume began making music in his teens before being discovered and signed by Future Classic records in 2011 as part of a new artists competition. Flume’s style is marked by experimentation – dance and EDM frameworks are used with elements of R&B, indie rock, and more to create unique, bass-heavy soundscapes. Flume’s debut album, the self-titled Flume came out in 2012 to positive reviews. 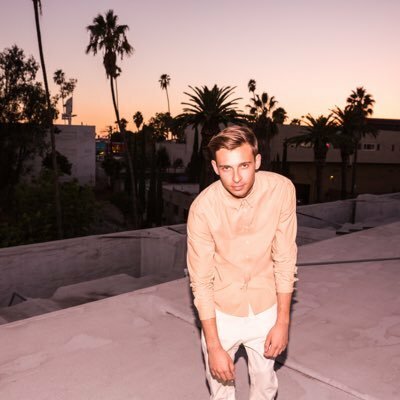 The music reviews site Pitchfork gave the album a score of 7.4 out of 10, noting the production’s “integration of R&B's bedside intimacy with distant beats and silky voiced female singers.” The album went to #1 in Flume’s native Australia, thanks in part to the success of tracks like “Holdin On,” “On Top” (featuring rapper T.Shirt), and the single “Sleepless,” featuring Australian singer Jezzabell Doran. The EP Lockjaw was released in 2013 with Chet Faker, featuring the single “Drop the Game.” The single “Some Minds” was released in 2015 with Andrew Wyatt, and 2016 saw the release of tracks like “Never Be Like You” with Kai. Flume’s sophomore album, Skin, was released in May of 2016 also to positive reviews. “I spent a lot of time with the sounds and the textures and that’s what I enjoy focusing on, but I definitely think the sounds were influenced a lot by what was going on in my life. I definitely had a vision and a sound that I wanted to pursue,” said Flume of the album Skin in an interview with HungerTV.com. The release of Skin also heralded Flume’s embarking on a 70-city worldwide tour, from North America to Europe, Australia, and New Zealand. Find tour dates and tickets above! Where can I find Flume tickets online? The best place to buy Flume tickets online is buyTickets.com buyTickets.com has amazing deals on even the most hard-to-find tickets, thanks to our partnership with ticket brokers across the country. If you can’t find the Flume tickets you’re looking for here, they simply can’t be found. Are there promo codes available for Flume tickets? Yes! buyTickets.com always offers promo codes on all of our events, so that our customers can save even more on our already great prices. You can find a promo code for Flume tickets at the top of the page. Enter it at checkout by clicking the “Have a gift card or promo code?” button below the area for your credit card information and entering it into the field. Can I buy Flume tickets by phone? I heard Flume tickets are sold out. What can I do? You may be able to buy sold out Flume at buyTickets.com. That’s because are tickets come from a network of trusted ticket resellers, so even if the venue is sold out there may be more for fans like you who care to look. Take a look at our selection above to find out for sure. How much are Flume tickets? That depends on the date, the venue, the current market on tickets, and more variables too numerous to go into here. The only way to know how much Flume cost for certain is to find the event you’re interested in from the list above and take a look at the tickets currently on sale. Will Flume tickets be cheaper on the day of the event? What if I have more questions about Flume tickets?